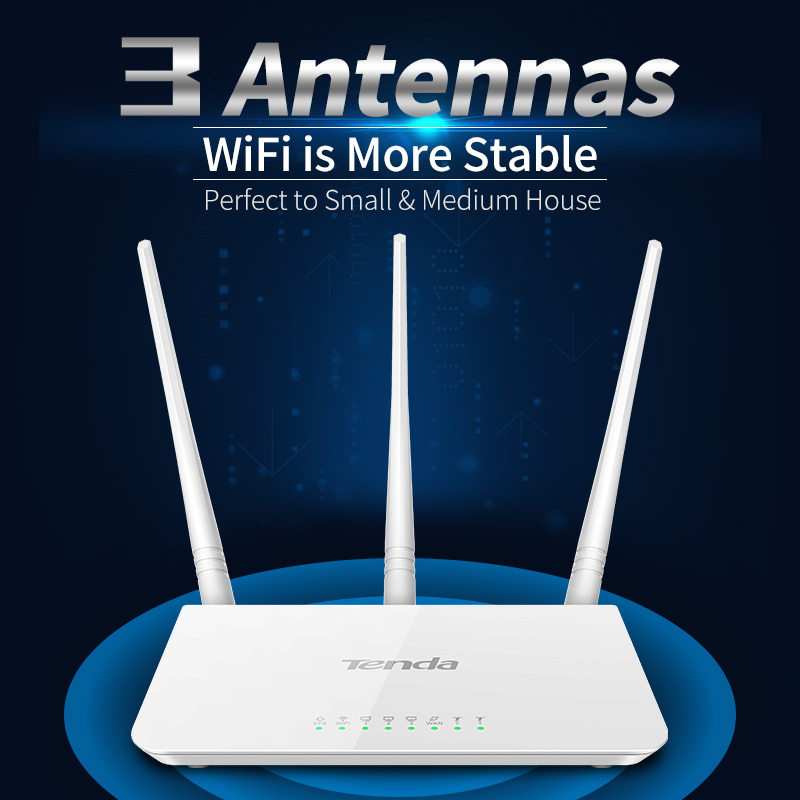 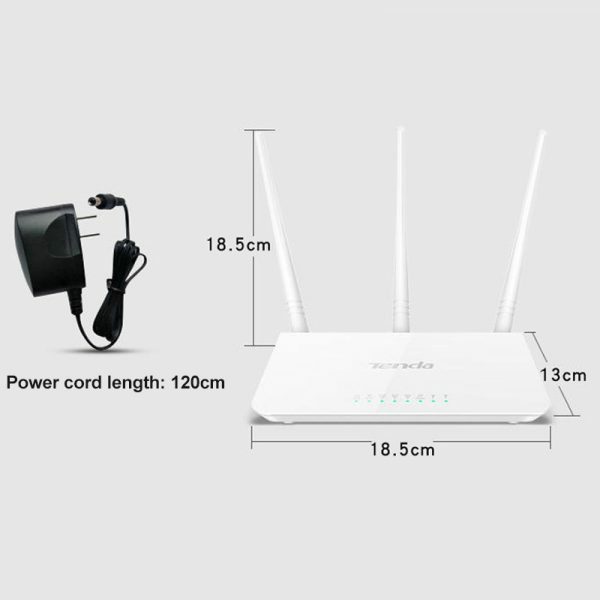 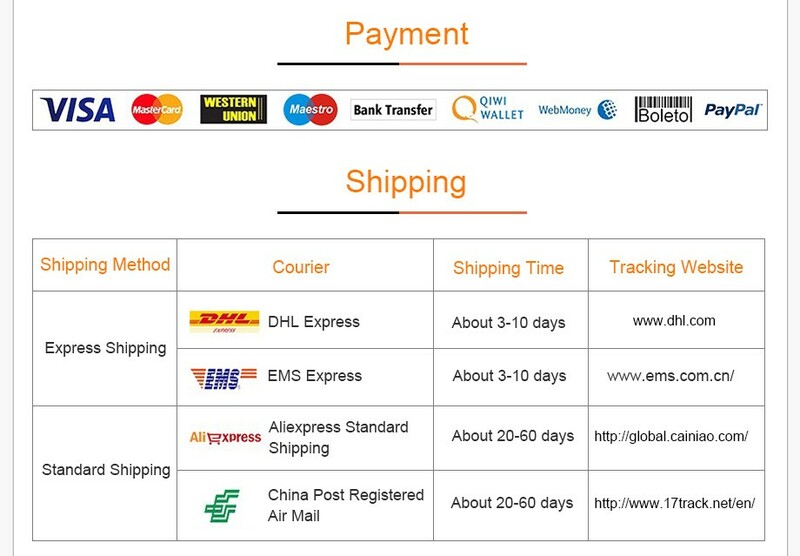 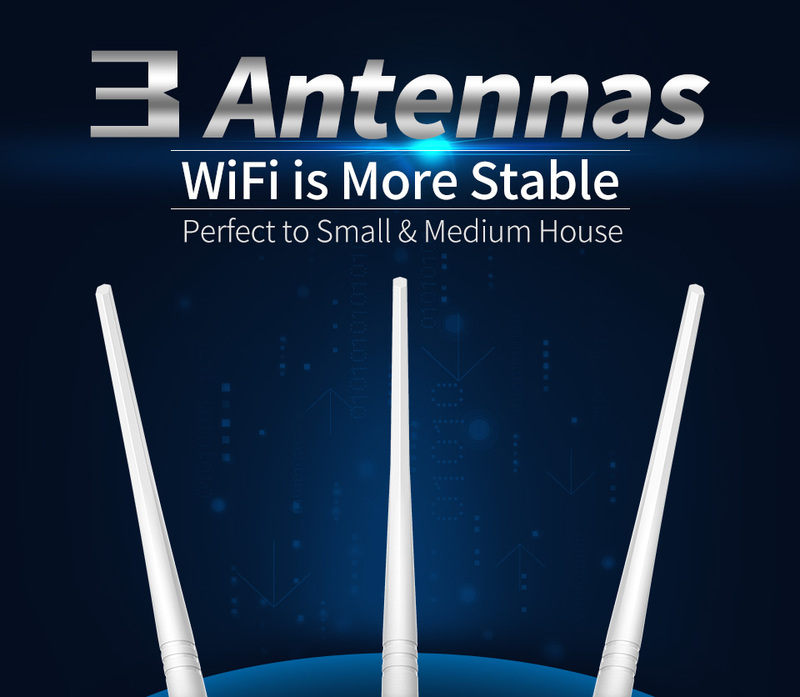 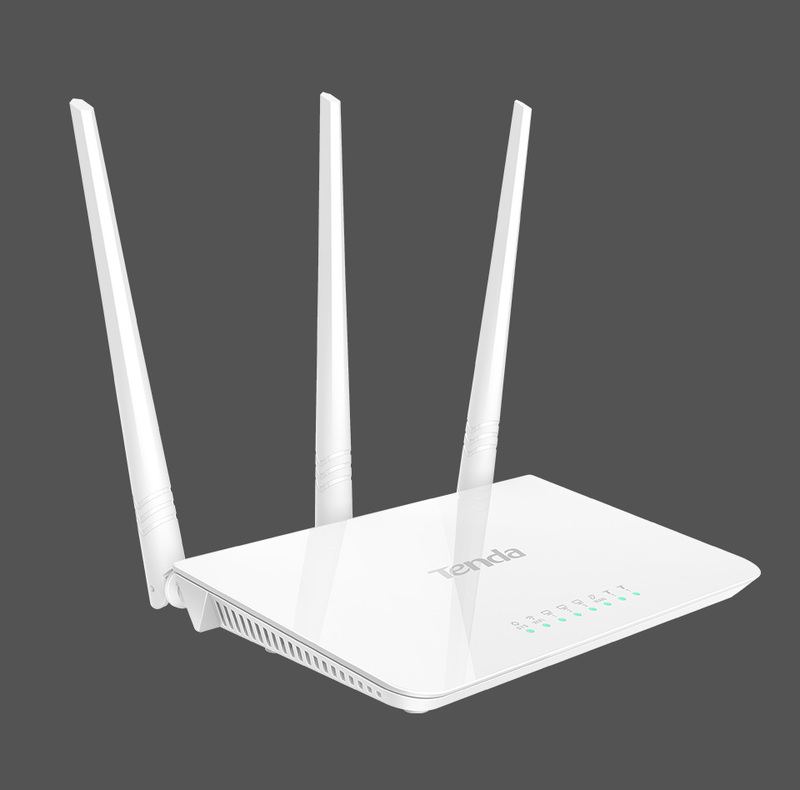 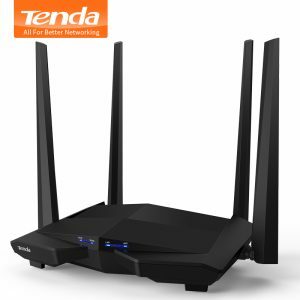 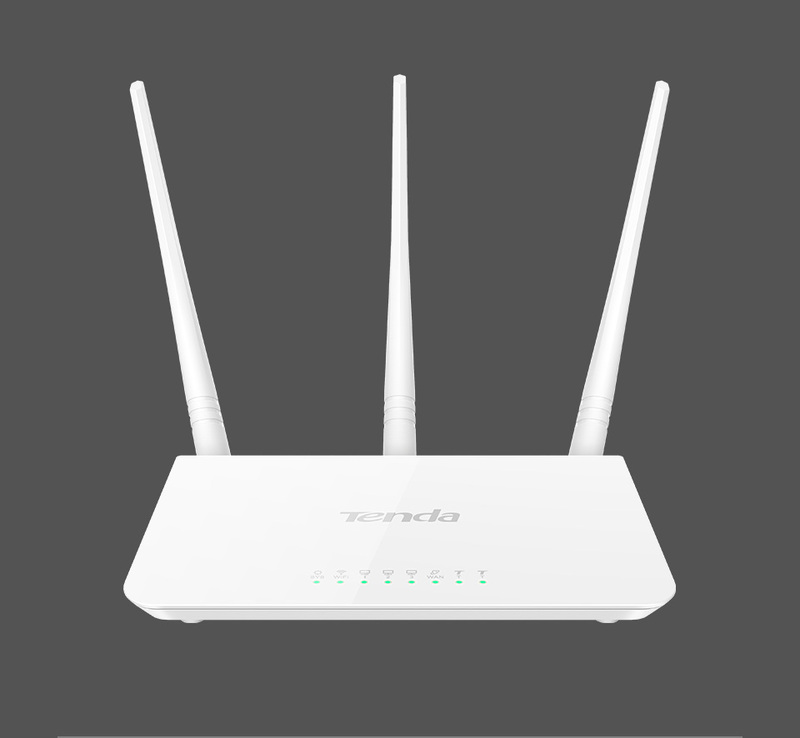 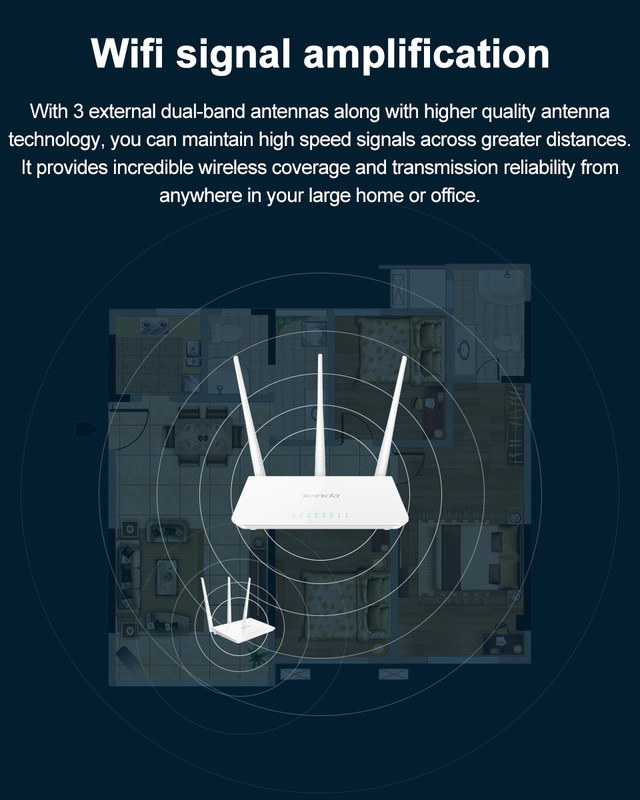 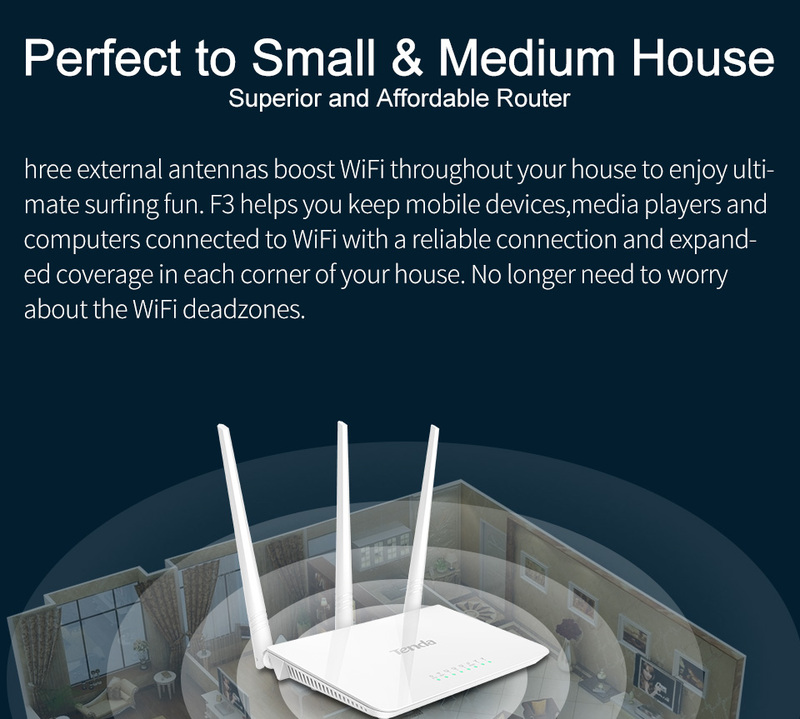 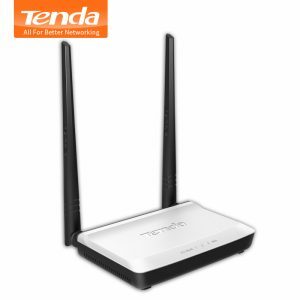 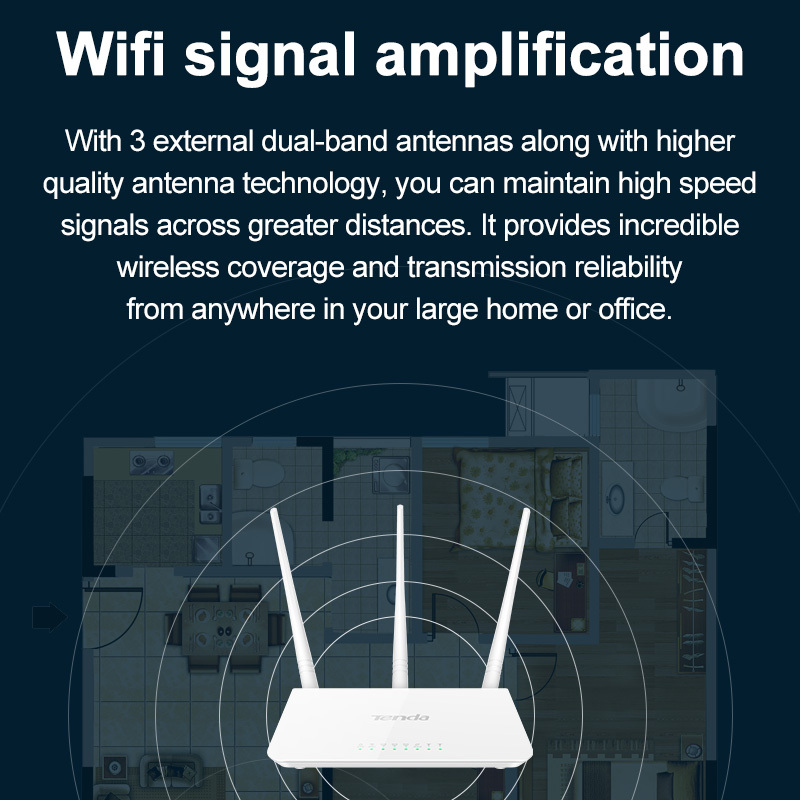 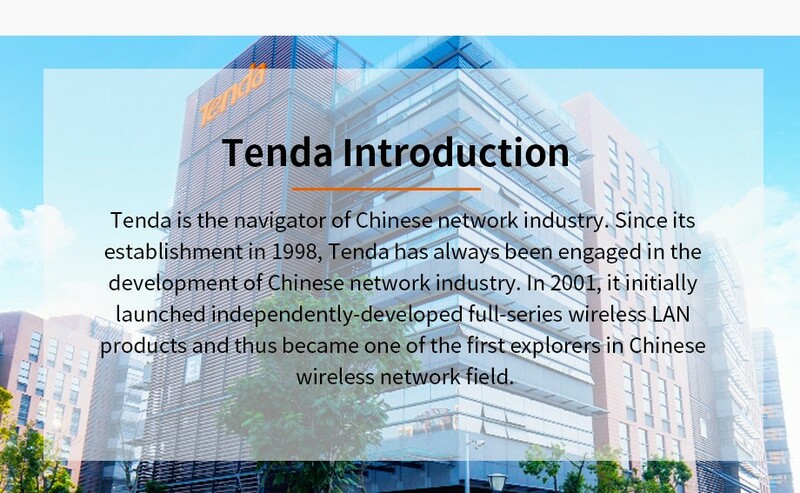 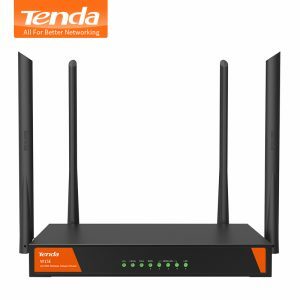 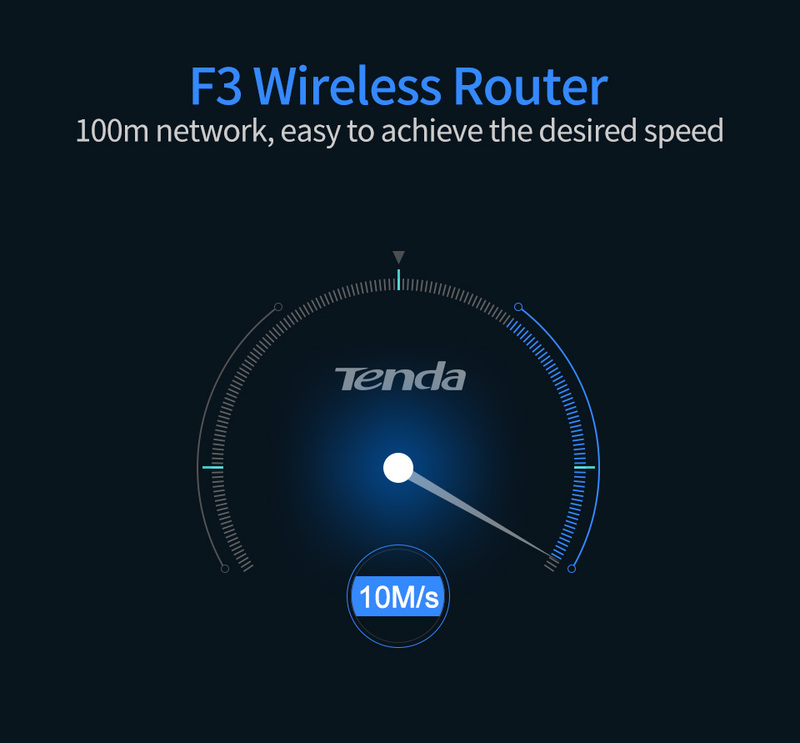 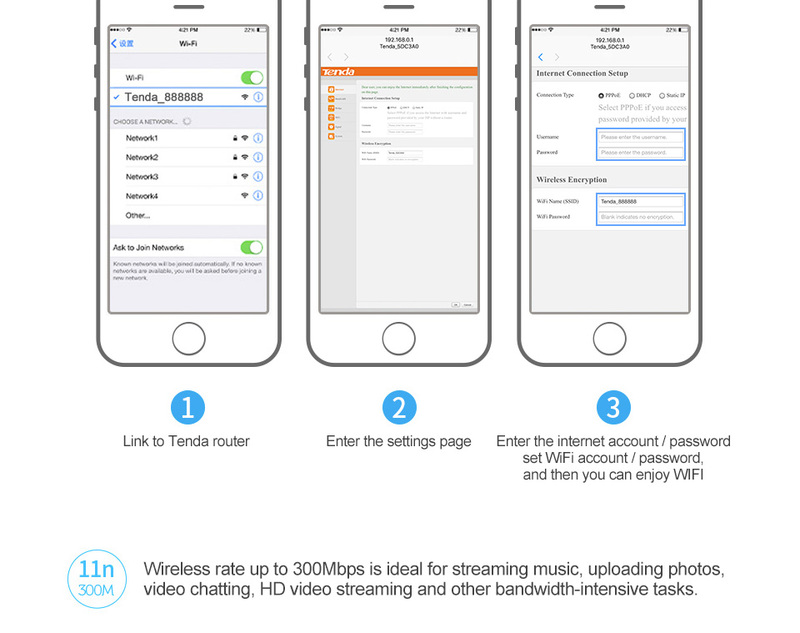 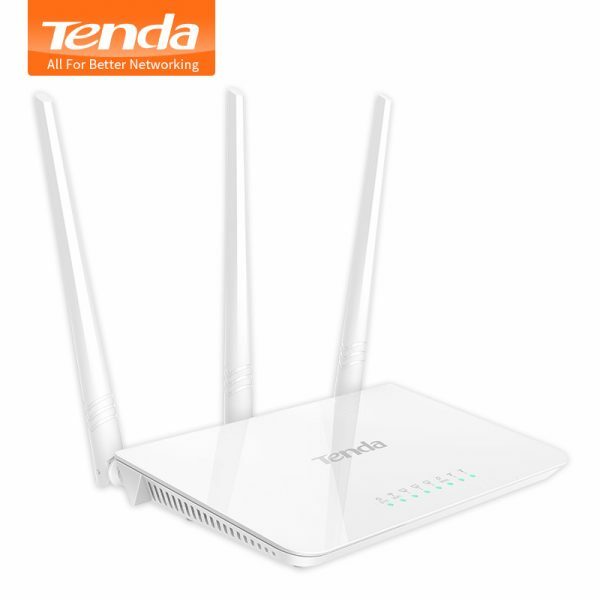 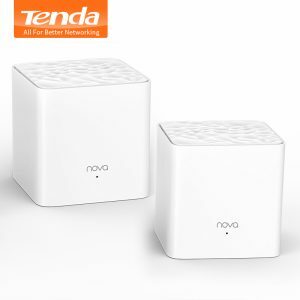 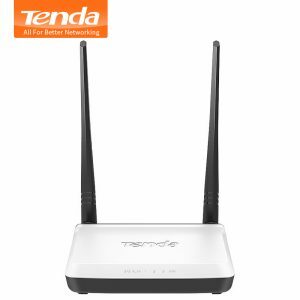 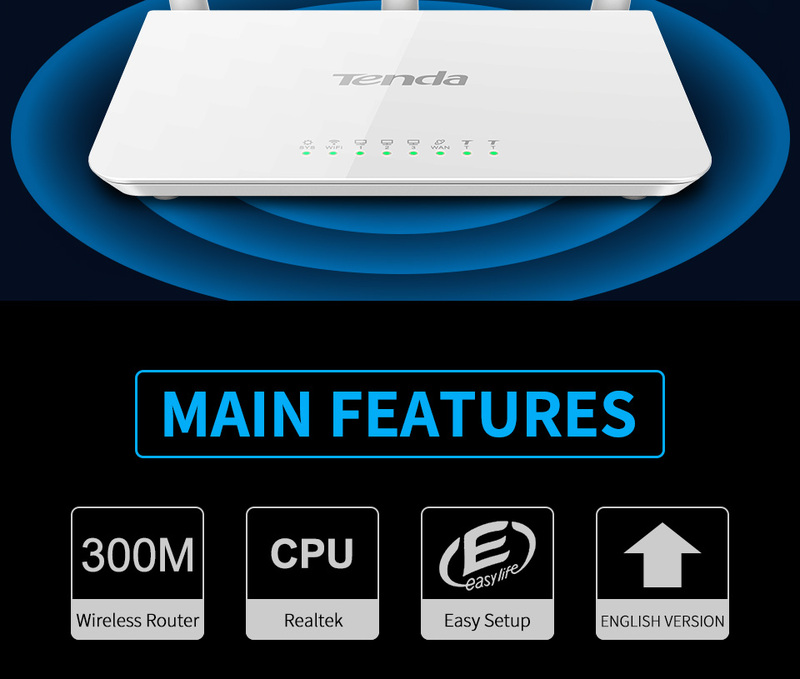 Buy Tenda F3 300Mbps Wireless WiFi Router and Wi-Fi Repeater, Multi Language Firmware, Easy Setup, Perfect to Small and Medium House - In Stock Ships Today! 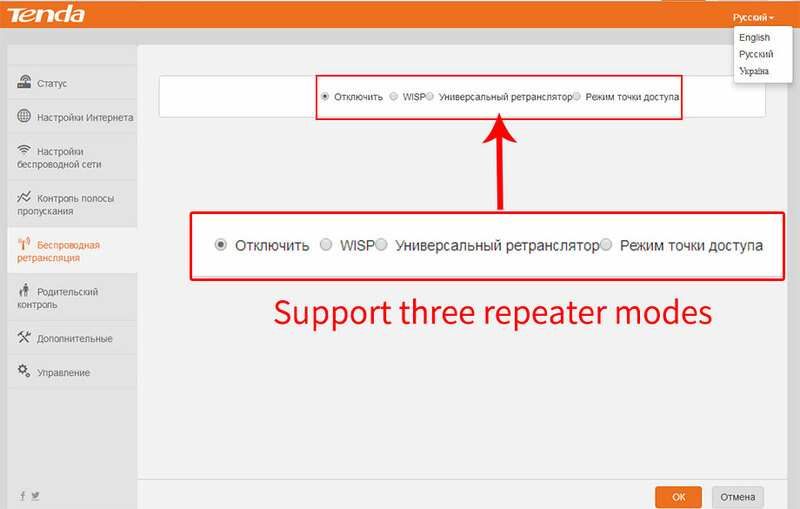 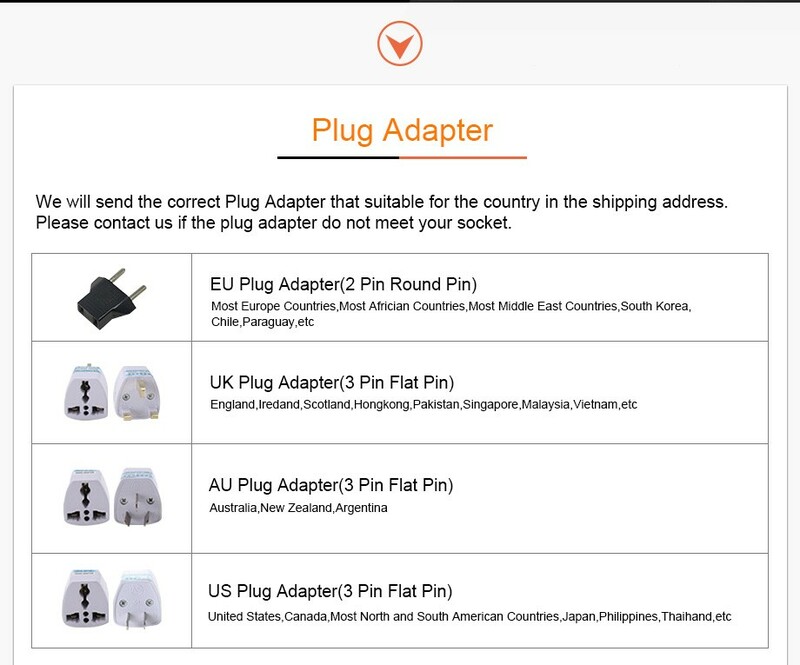 You are free to choose which firmware you want. 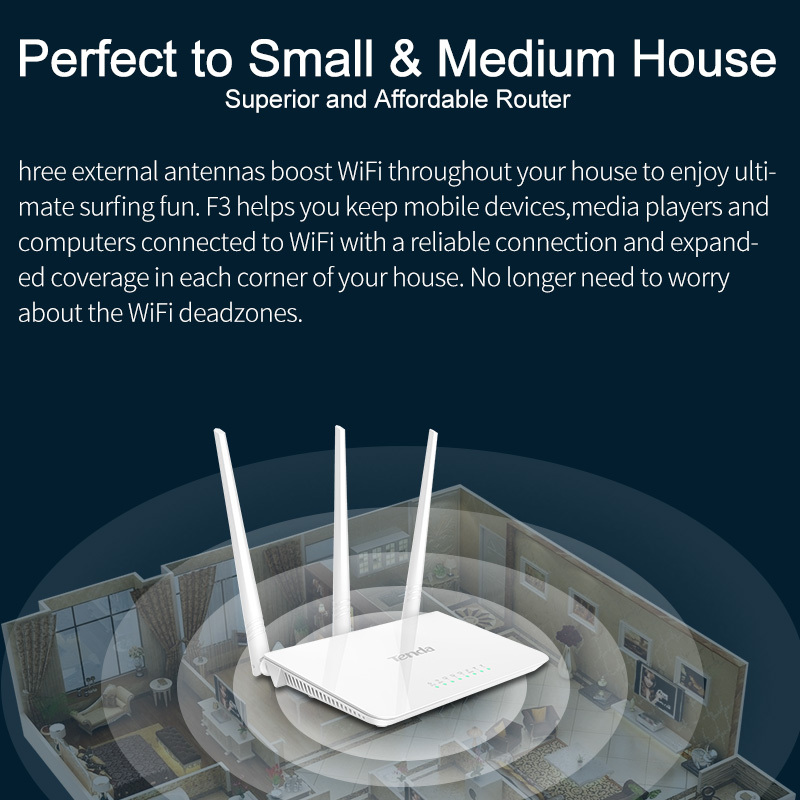 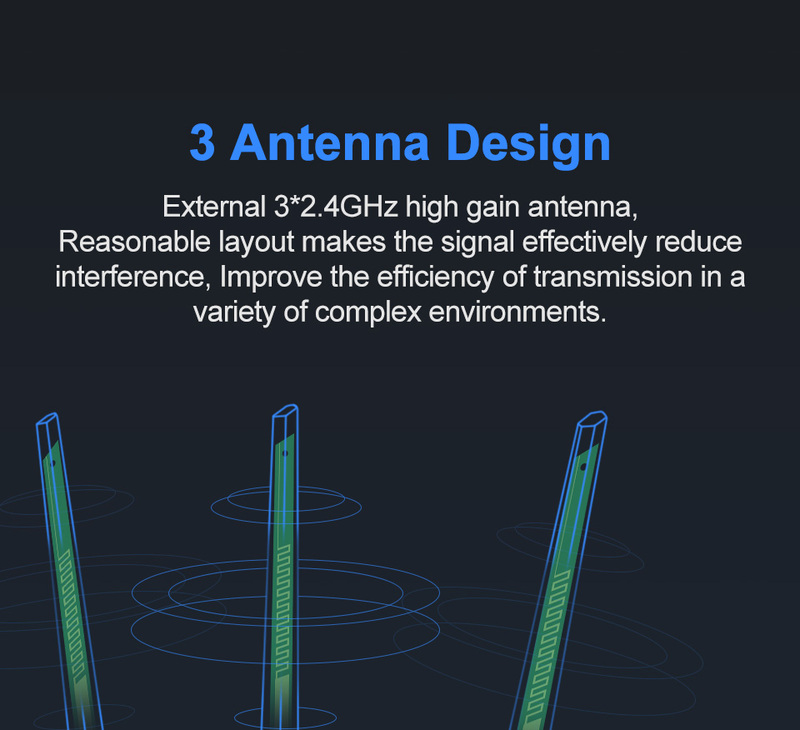 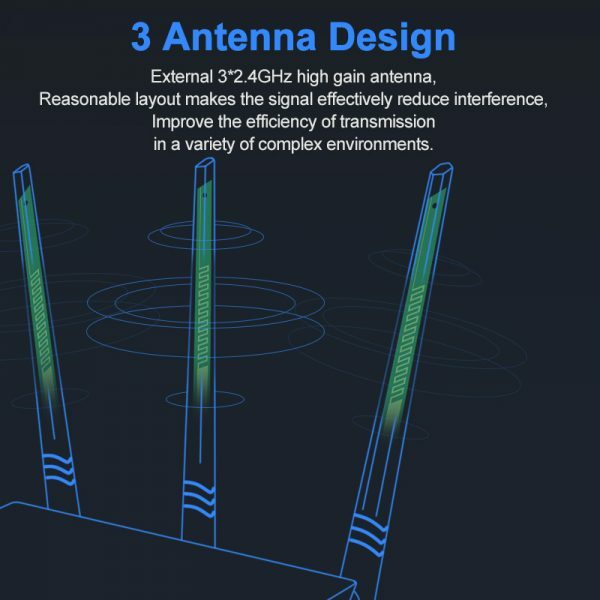 F3 is specially designed for your smart home networking life . 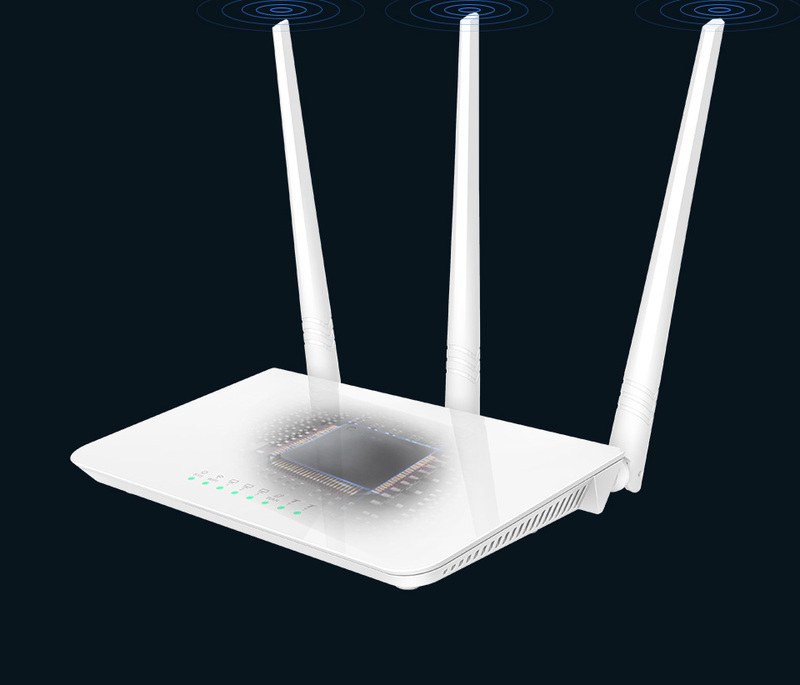 Chip to router what is heart to human. 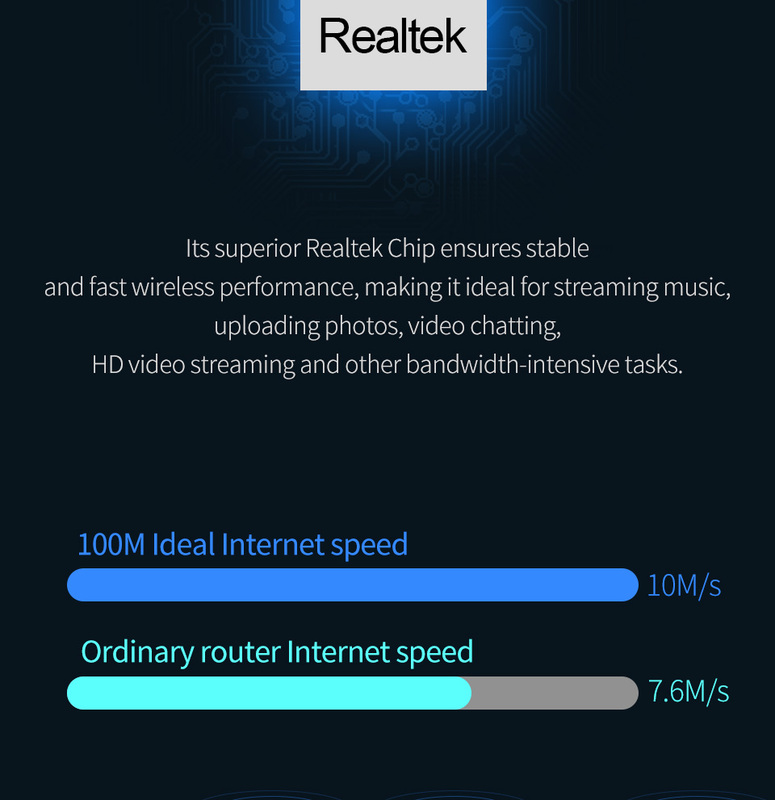 Its superior Broadcom Chip ensures stable and fast wireless performance, making it ideal for streaming music, uploading photos, video chatting, HD video streaming and other bandwidth-intensive tasks. 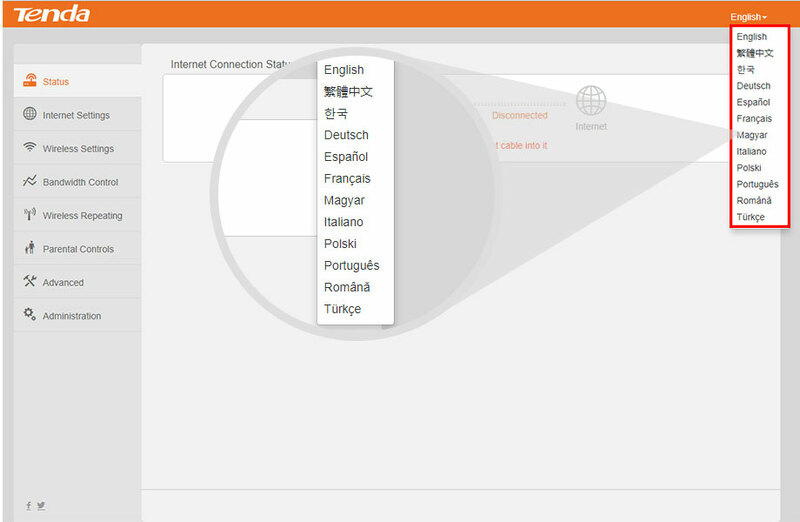 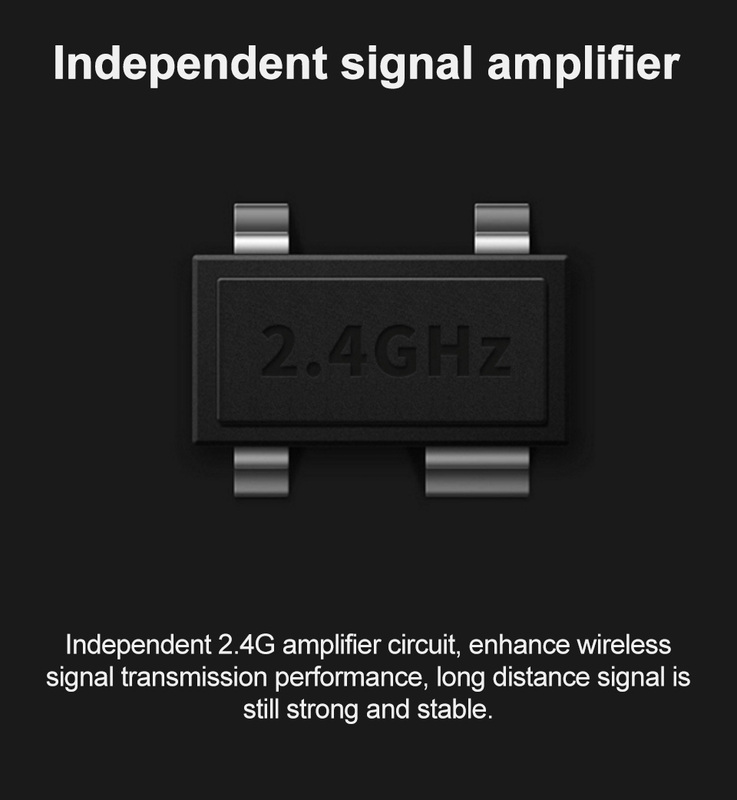 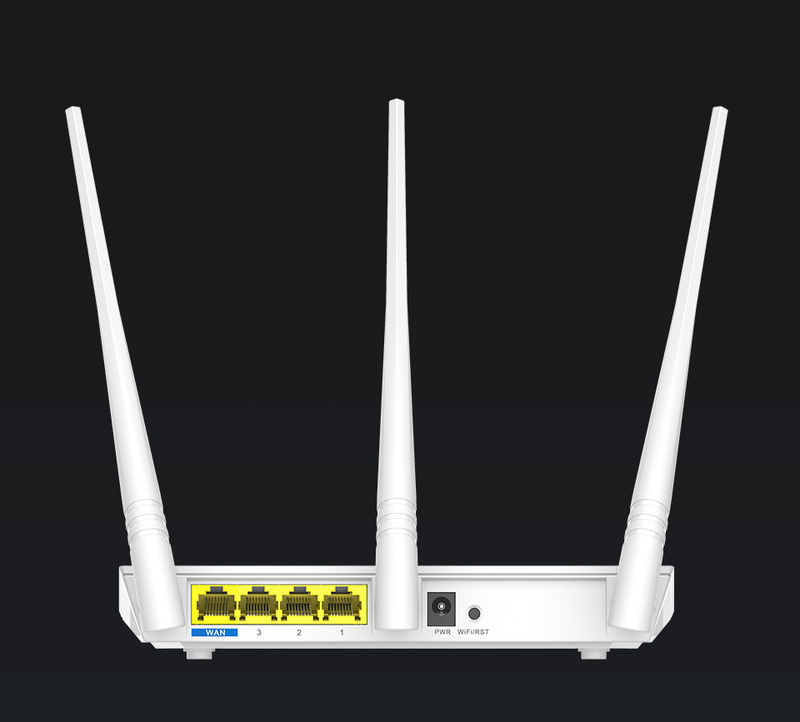 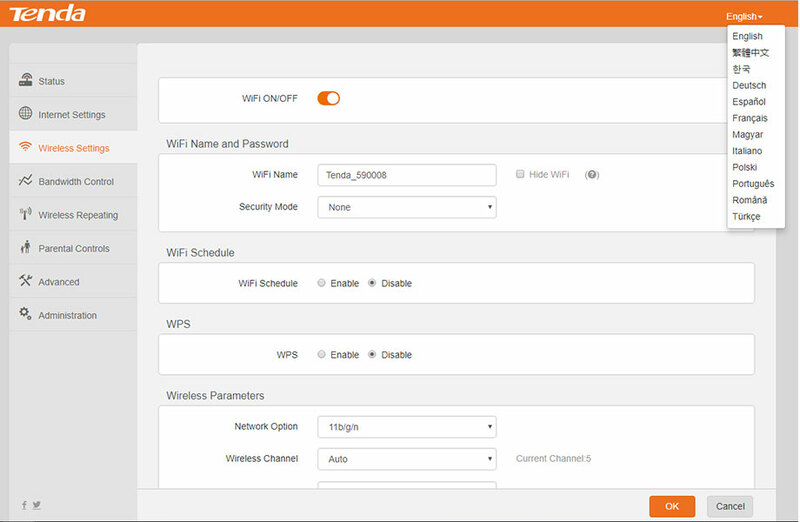 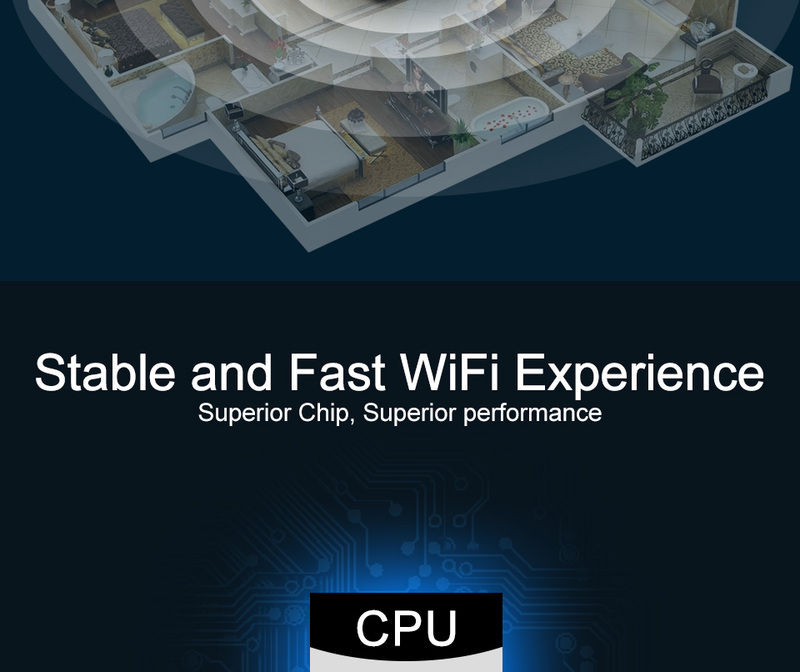 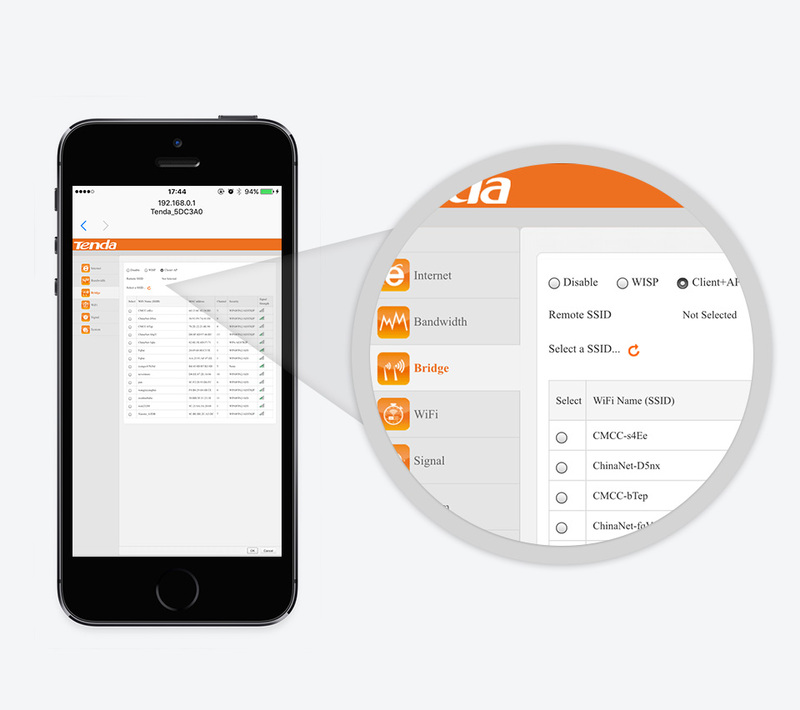 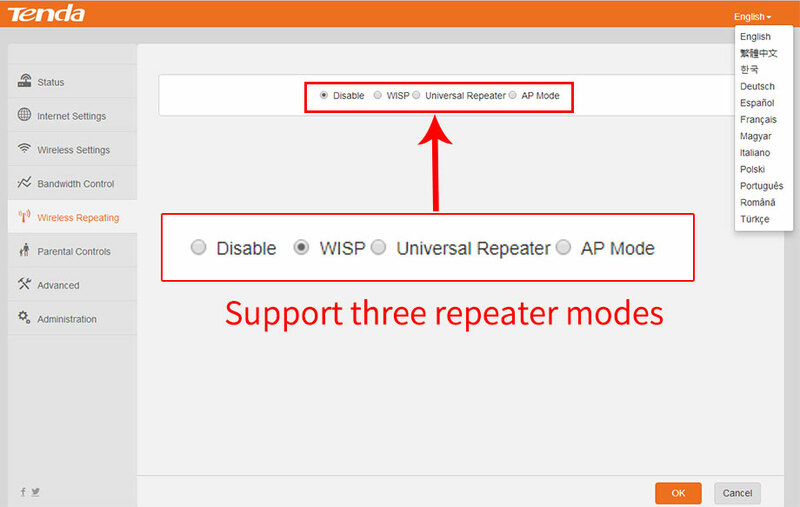 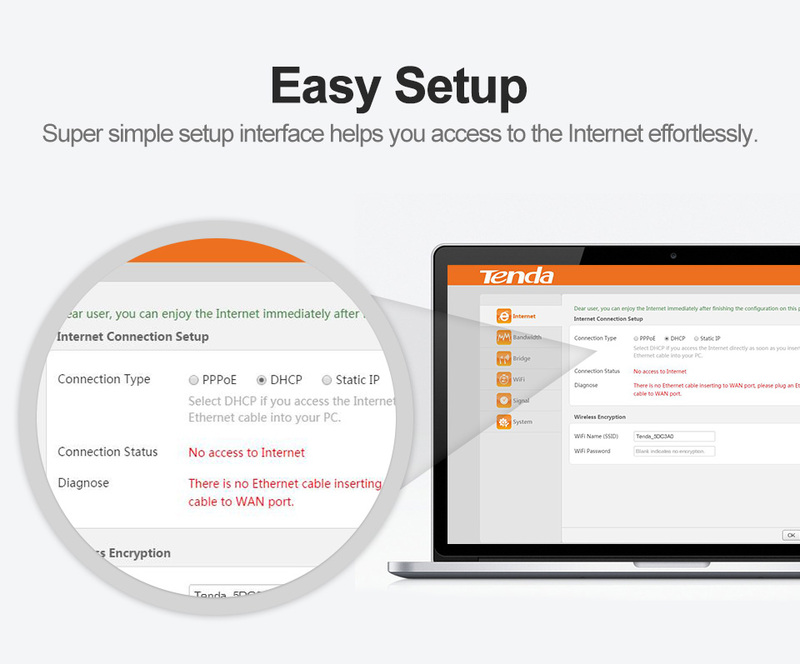 Easy setup interface makes you can enjoy fluid WiFi experience effortlessly . 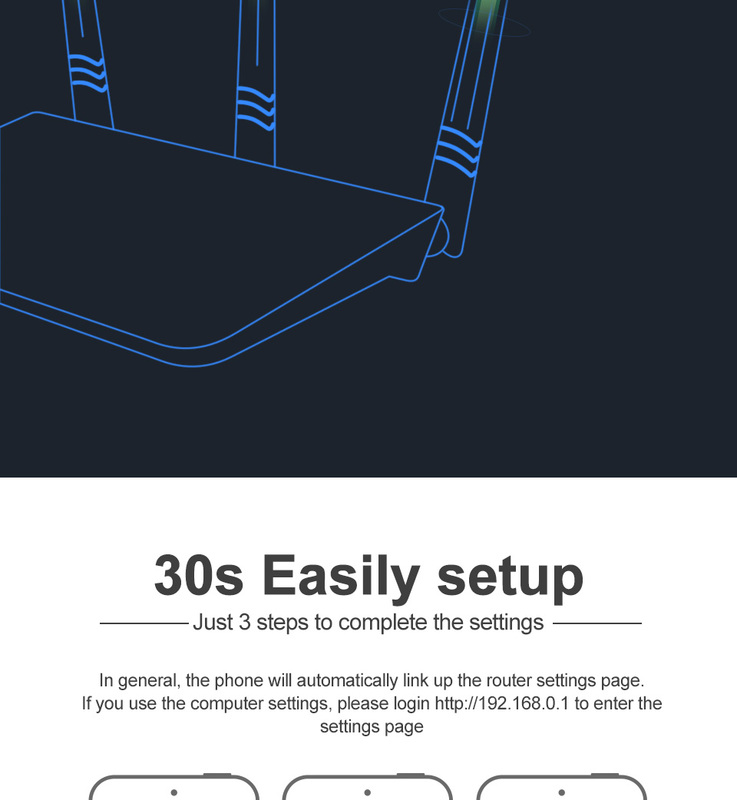 No matter you are a tech-savvy enthusiast or a first-time user, F3 is super easy and intuitive to setup without time-consuming operations. 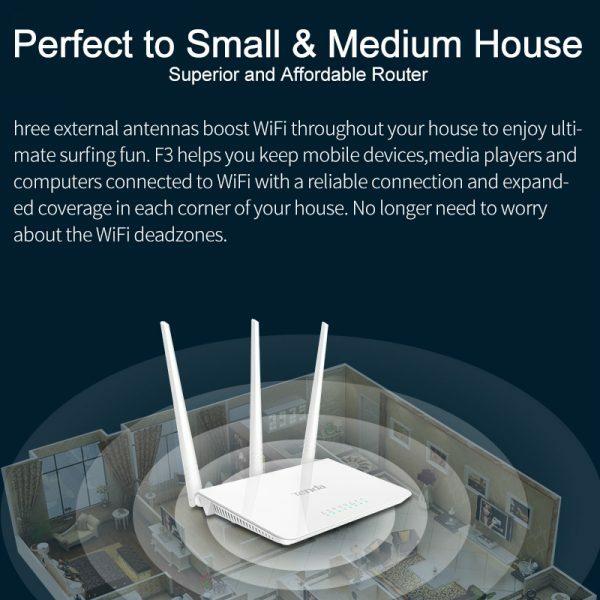 F3 makes you enjoy a easy and freewheeling E-life.